Is there a more quintessential fall activity than visiting a pumpkin patch? At Pumpkin Towne, not only can you pick out your own pumpkin, but you can play in bounce houses, climb mountains of hay bales and take family photos with props. You can even bring your furry family to enjoy the day! Spookyville in Yesteryear Village is a throwback to the traditional days of family Halloween. 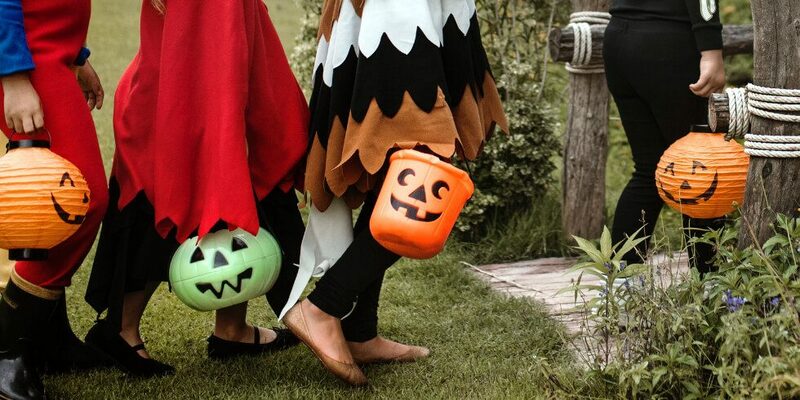 The kids will love trick-or-treating, kiddie rides, carnival games, arts and crafts, and costume contests – all within range of easy supervision. Get the kids pumped for Halloween at the annual Spooktacular Concert! This is the perfect opportunity to get another wear out of those Halloween costumes and let the kids go all-out as you jam out to popular songs played by the Royal Palm Beach Community Band. Take a stroll through the Fall Fantasy Craft Show and enjoy the cooler autumn weather. Bring the whole family to meander through the booths of local jewelry makers, artists and crafters, and maybe even get a head start on your Christmas shopping. Make sure to grab a tasty pumpkin-flavored treat to munch on as you enjoy the musical entertainment. Winterfest is one of the biggest events of the year in Wellington, and has become a family tradition for many. The highlight of the night is a live concert featuring Vanilla Ice, but there’s so much more fun to be had! Start your holiday shopping at the Vendor Village, take a family photo in the snow globe photo booth, and enjoy ice skating and real snow at Blizzard Beach! Arden is conveniently located near entertainment and recreation, plus great schools, employment hubs and shopping. To learn more about everything Arden has to offer, join our Founders Club.